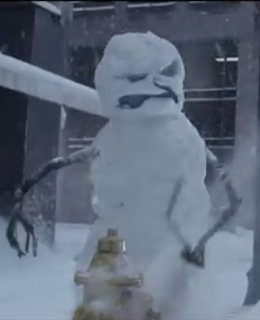 As a resident of Ottawa, Canada, where we regularly battle old-man winter, I had a chuckle out of this movie-themed commercial for the Nissan Rogue. Of course, since this is a Nissan commercial, it is only the Nissan Rogue that manages to escape from this horrible menace and take a full passenger load to safety. The Rogue likely will be our next vehicle. While we rarely have enough snow to make a snowman, I'm still relieved to know that the Rogue survived. Just in case it happens here! Now we know we will be safe from snowmen attack, Susan.